I hope you all survived the first week of the new year! I’m back to school and feeling like I never left, it’s like Christmas break never even happened :/ Except that little extra jiggle I’ve got going on lol! That’s okay though, I enjoyed myself over the holidays and now I’m happy to be back to eating healthy and hitting the gym. 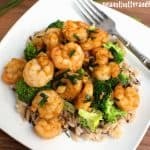 For this week’s meal plan, I’ve got a couple of the usual suspects (breakfast and turkey taco salad), but I also brought back a couple of “oldies but goodies.” I used to make the Spicy Garlic Shrimp recipe ALL the time and now I remember why! So good. I used to stock my freezer with frozen shrimp to make sure I could have this whenever I wanted it. You’ll see that I finally managed to add barcodes below every recipe in this meal prep. If you’re a macro-counter (or log your food as part of a diet), all you have to do is use the little barcode scanner in the My Fitness Pal app and hold it up to the screen to log the nutrition info. 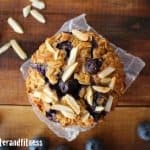 I hope at least some of you find it helpful – I know it will help me to log something I haven’t made in a while rather than trying to sort through 40+ pages of recipes on MFP! Happy Monday, ya’ll. 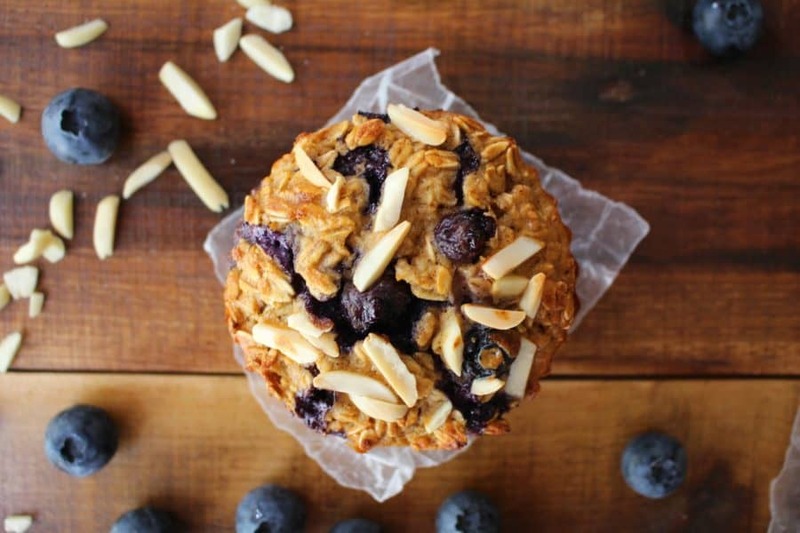 Scan this barcode to log a Blueberry Almond Oatmeal Muffin into My Fitness Pal! Scan this barcode to log an Egg White Slice into My Fitness Pal! Add broccoli to a large, microwave safe bowl. Top with seasoning and cover bowl with a damp paper towel. Microwave for 3-4 minutes or until broccoli is tender. Heat olive oil over medium-high heat in a large skillet. Add garlic and saute until fragrant. Add shrimp and cook for about 1 minute or until partly opaque. Drain any liquid from the skillet. Add sauce and bring to a boil. Continue boiling until liquid is reduced and shrimp are cooked through. Remove from heat and add green onion. Serve shrimp over rice and broccoli. Scan this barcode in MyFitnessPal to log the Spicy Garlic Shrimp recipe! Add cubed butternut squash to a pot of water and bring to a boil. Boil for 10-12 minutes or until squash is fork tender. Drain and mash squash. Set aside. Season chicken with salt and pepper. Heat 1 tsp olive oil over medium-high heat in a large pan or skillet. Sear chicken on both sides until browned, about 2-3 minutes per side. Set chicken aside. Add remaining olive oil to the pan or skillet. Add onion and garlic. Sauté until onions are softened and begin to brown on the edges, then add mushrooms and sauté until mushrooms are golden. Add wine, chicken stock, ground mustard, red pepper flakes and all but 1/4 cup of the coconut milk. Scrape any browned bits of onion and garlic from the bottom of the pan. Whisk arrowroot flour into coconut milk, then add to the pan and whisk until well incorporated. Bring the sauce to a boil, then lower heat to a simmer and return chicken to the pan. Cover chicken with sauce. Simmer another 5-10 minutes until the sauce thickens and the chicken is cooked through. Add broccoli to a microwave safe bowl and cover with a very damp paper towel. Microwave for 3-4 minutes until broccoli is bright green and tender crisp. Serve chicken and sauce over butternut squash mash with broccoli. 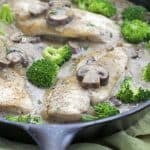 To make this recipe fully paleo compliant, substitute the white wine with chicken stock and a squeeze of fresh lemon juice. I skipped the broccoli on this recipe because I couldn’t handle so much broccoli in one week! Scan this barcode into My Fitness Pal to log Creamy Mushroom Chicken with Butternut Squash and Broccoli into My Fitness Pal! Scan this barcode into My Fitness Pal to log Turkey Taco Salad into My Fitness Pal! Love the spicy garlic shrimp recipe!! I make something similar to this but I need to get some of the Flavor God Garlic Lover’s seasoning!!! Now I want to make this for next week!! Thanks Abby! It’s one of my favorite meal prep recipes! Wow, this is awesome! I needed some inspiration to spice things up again. Thanks for sharing! Love your format!